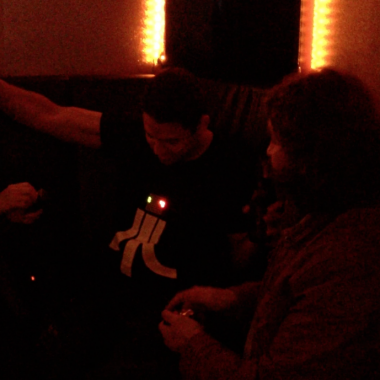 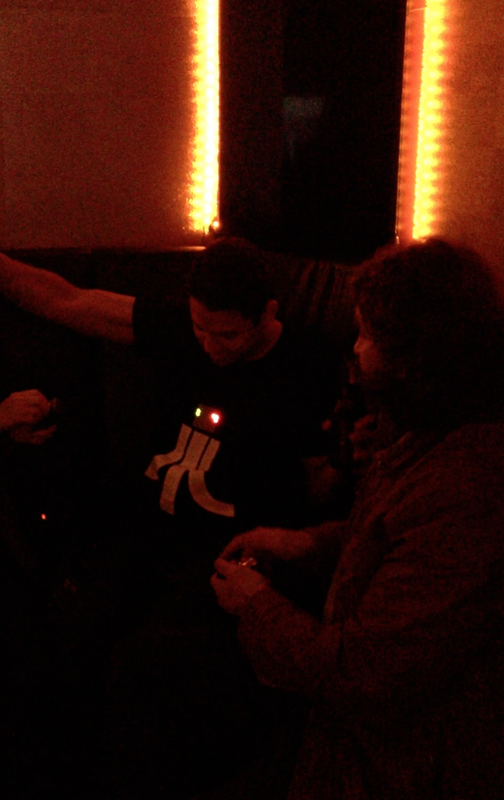 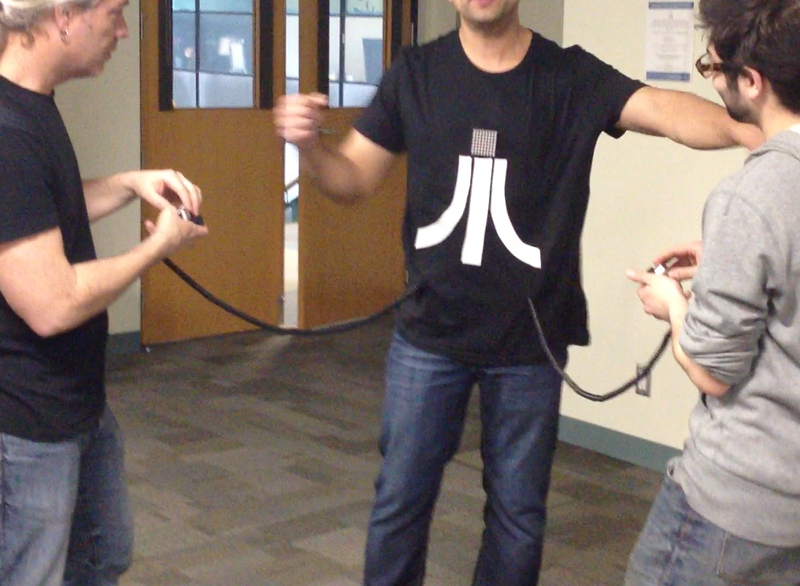 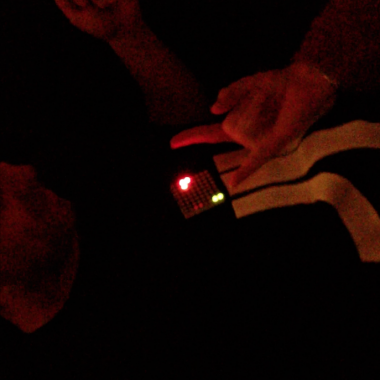 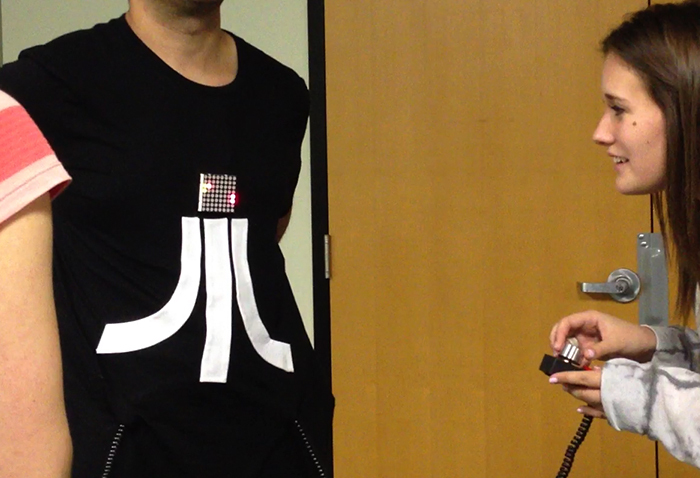 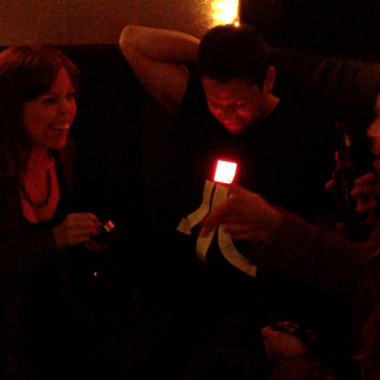 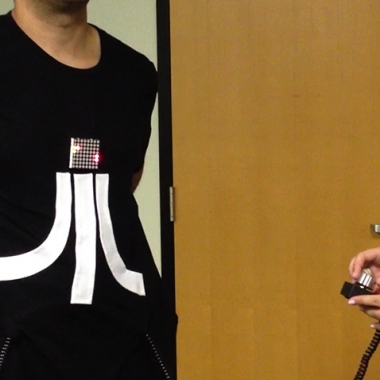 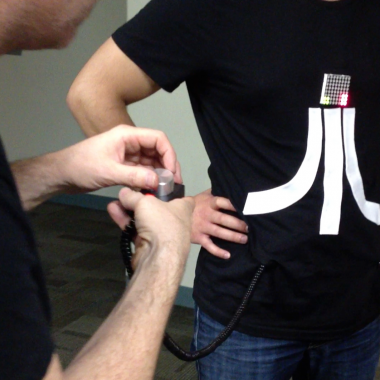 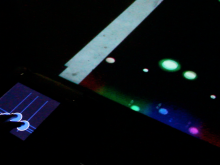 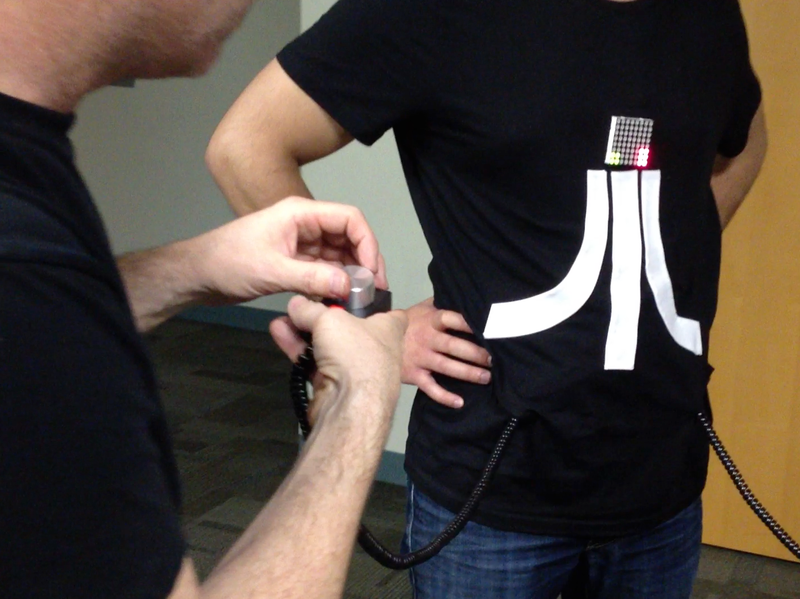 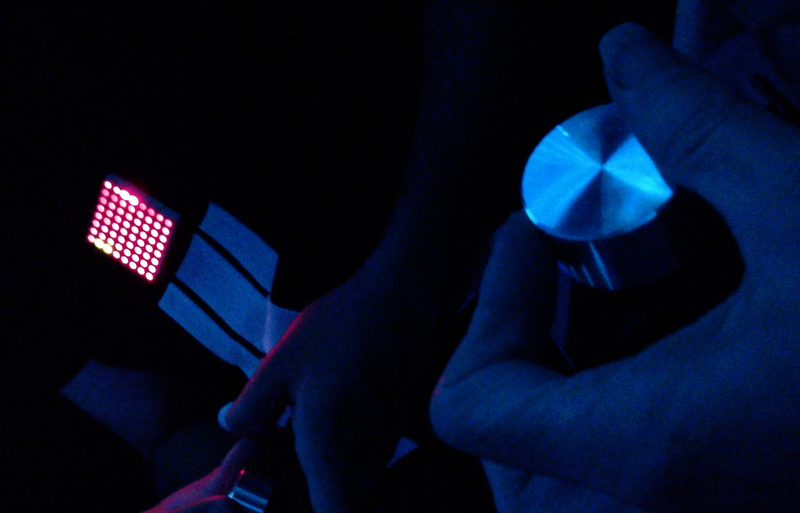 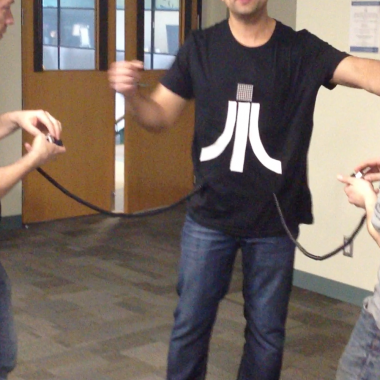 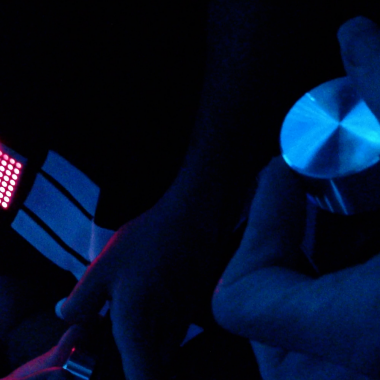 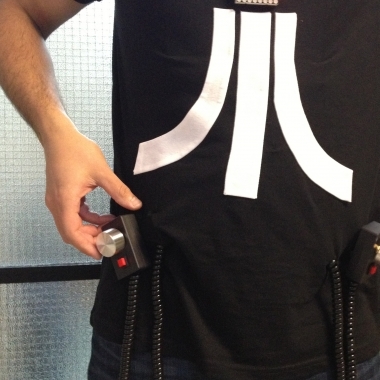 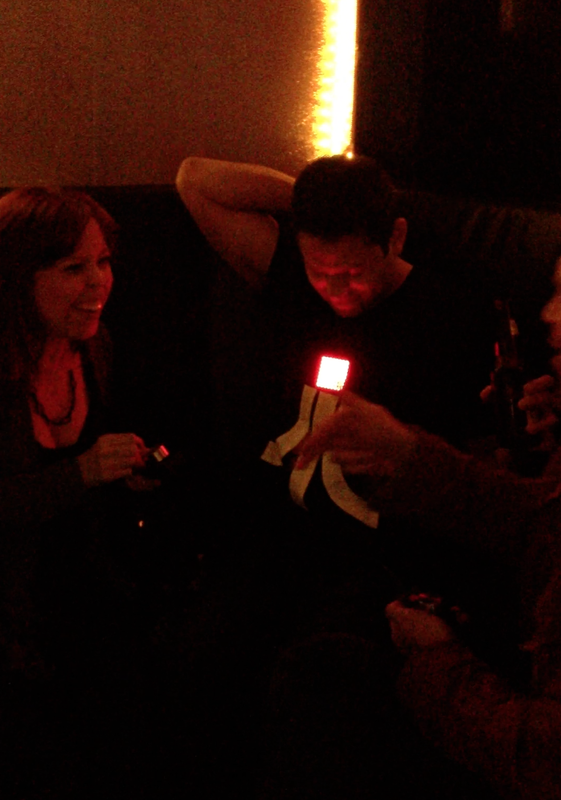 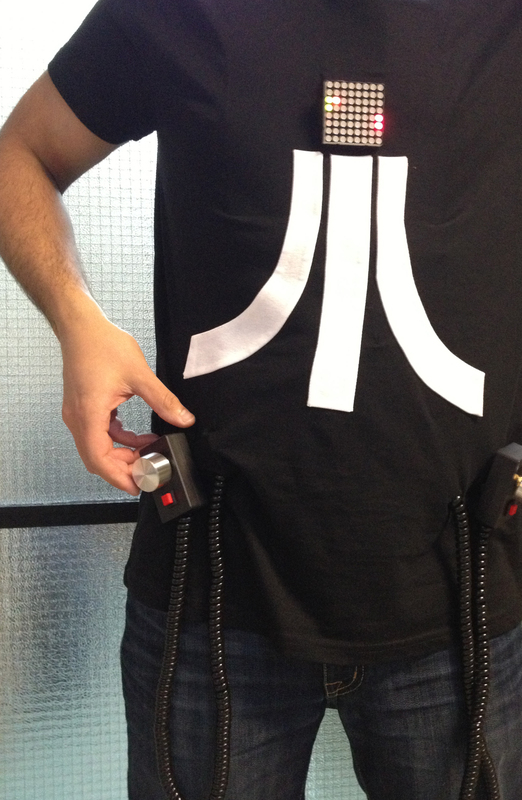 A wearable, super fun 2-player gaming tee-shirt that turned out to be awesome for parties. 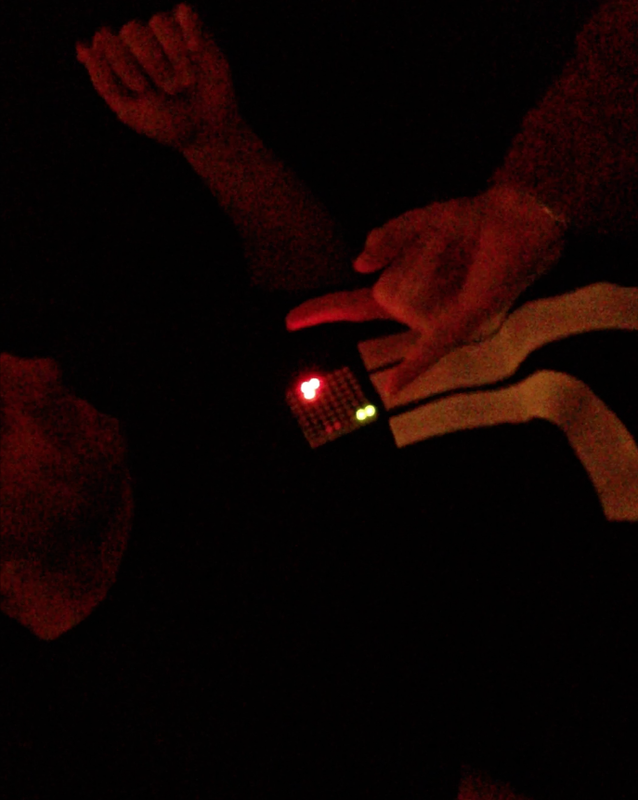 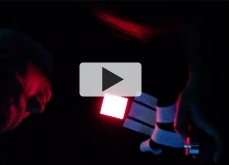 Coded and built from scratch using Arduino. 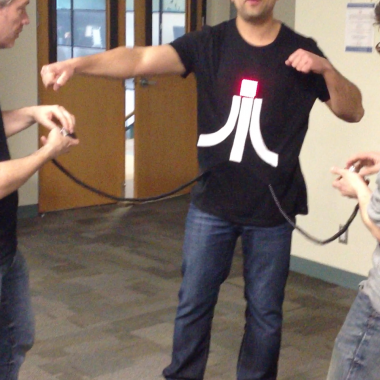 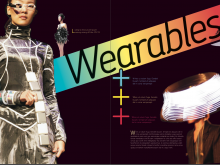 Conceptual lead and co-artist collaborating with my game-designer pal Jonathan Seguin for a “wearables” class at Ryerson New Media. 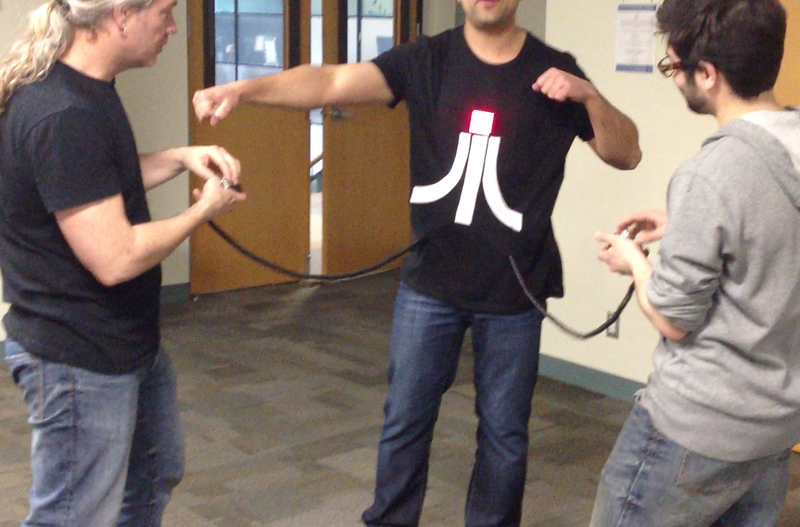 This was a prototype for a gaming tee-shirt idea, a nicer, machine-washable version with SurfaceMountLED’s coming asap.